Hives are itchy, raised red bumps that come up on the skin. They can be caused by an allergic reaction or stress. In some cases hives can cause more serious problems, such as swelling of the throat, and this requires emergency intervention. Most of the time, though, hives are benign and simply uncomfortable for the sufferer, but there are a number of home remedies that might help you to control the itching and discomfort you experience. Some vitamins may be a helpful home remedy to treat hives. According to the University of Maryland Medical Center (UMMC), vitamin C can help to lower histamine levels, which can help relieve the symptoms of hives. Taking 2 to 4 g a day of vitamin C may be enough to do the job. Vitamin E and zinc are also helpful in healing a case of the hives because they help to heal the skin. According to UMMC, vitamin E and zinc can be applied topically to relieve hives. Oatmeal is another home remedy that might be helpful in treating hives. According to Organic Facts, hives can be relieved by using oatmeal because it has a calming effect and helps to soothe the skin irritation. 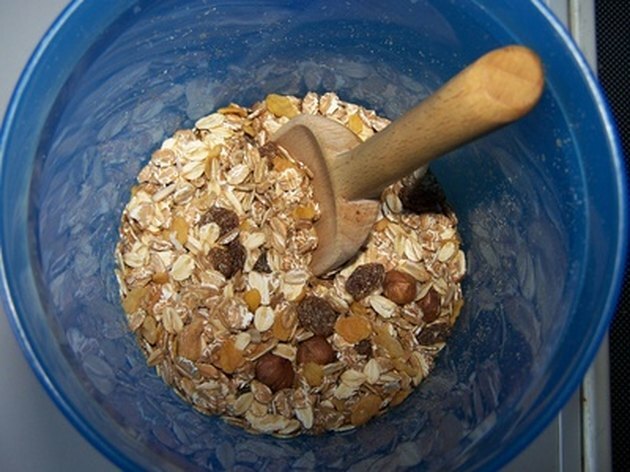 To use this remedy, add a cup of boiling water to a tablespoonful of oatmeal. Let this set for 30 minutes and then strain the mixture through a strainer. Use a cotton ball or your fingers to apply this to the skin. You can also add oatmeal to your hot bath water and soak in it to get relief from hives. Another way to treat a bad case of the hives is with apple cider vinegar. Apple cider vinegar is made from apples and is created through bacteria and yeasts. The bacteria and yeast break down the fruit to form acetic acid. According to Organic Facts, apple cider vinegar helps to relieve the itching that is associated with hives. To use this remedy, simply mix one part apple cider vinegar with two parts water to create a liquid mixture. Some people even like to use apple cider vinegar and cornstarch to create a paste. Apply the liquid mixture or paste to your hives. If the hives are over a large portion of your body, put the liquid mixture in a spray bottle and spray it over the affected area after bathing.